ACPA – Gabinete de Projectos e Automação, Lda. has the goal as a company to provide innumerous services and supply the best equipment to the industrial automation sector. With more than 20 years of experience in this area and its vast technological “know-how”, allows itself to acknowledge incisive and precise solutions to every situation, since the beginning of a project until the more sophisticated “turnkey” automation solutions. With that being said, ACPA, Lda. 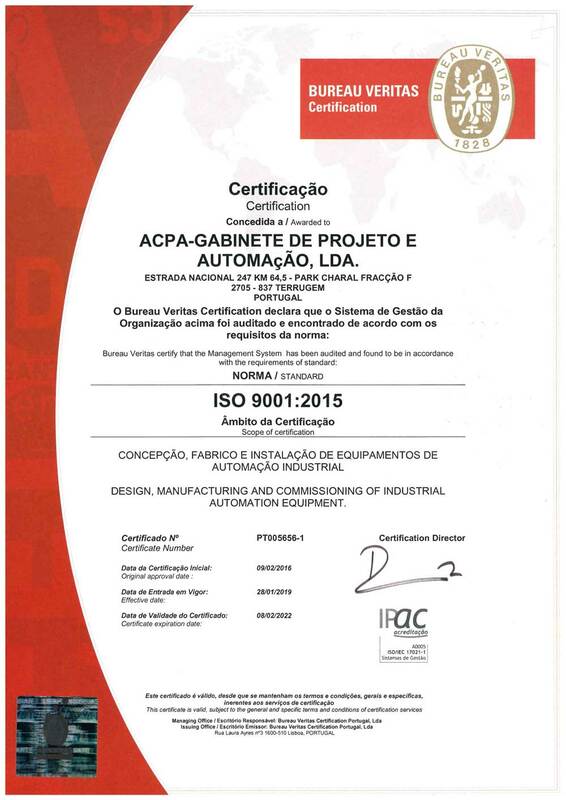 understands how fundamental its quality management system is, according to the rule NP EN ISO 9001:2015, that allowed a continuous improvement concerning procedures and methods, as well as an important statement and recognition of our commitment with the concerned parties. -To be a national reference when it comes to the sectors where its activity is developed, lined up with the best market practices regarding productivity and quality, allowing to reach a global recognition trough the provision of an excellence service to its clients. -Presenting competitive market prices, promoting our product quality and creating innovative solutions to reach the total satisfaction of our clients, anticipating their expectations in a personalized way. -International recognition of our company, leading to an exportation growth concerning our equipment. ACPA, Lda. 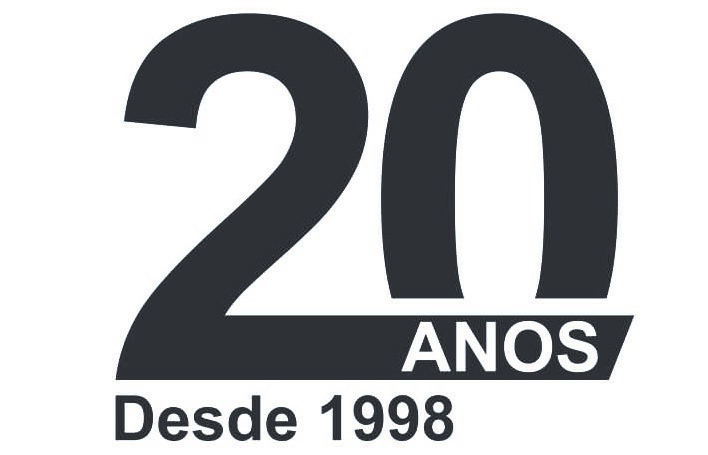 commits itself to continue to satisfy and overcome every expectations and needs revealed by their clients, partners and co-workers, assuring the requirements of the rule NP EN ISO 9001:2015, the requirements of our legislation, regulation and others applied to the company activity, and continuing to improve the efficacy of its quality management system. Having in mind this high stakes and relying on the involvement of our co-workers in the development and maintenance of our quality management system, ACPA, Lda. it’s a solid and steady company with the goal of leaving an important print/mark concerning a market position, always trying to reach maximum satisfaction of our Co-workers and Clients.